Archival work seems to be long and painstakingly hard. Although it is interesting to research, the job of researching, translating, and organizing the works of one, or more authors must be maddening. It seems to be something you dedicate your life’s work to, and not something you can just pick up or leave whenever you see fit. The Shelley-Godwin Archive is very nicely organized. It’s simply laid out and everything is labeled and explained. 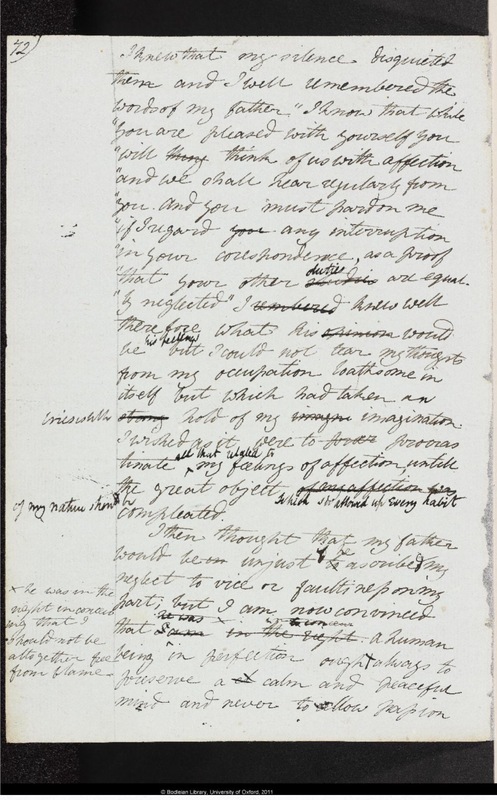 I was particularly interested in seeing the original, handwritten works of Mary Shelley’s “Frankenstein”. It’s fascinating to see and actually comprehend that a book of such fame and high caliber had been handwritten, scribbled practically, on plain old paper. Although I could never do such a job, I feel that the preservation and archival benefits of the profession are probably worth all the hours these dedicated people spend on this work. It has educational and historical value to keep up with and continue archiving past authors works. Even if it’s unappreciated now (while I certainly don’t think it is) I believe that future generations of appreciate all of the hard work that goes into the preservation of literary history.